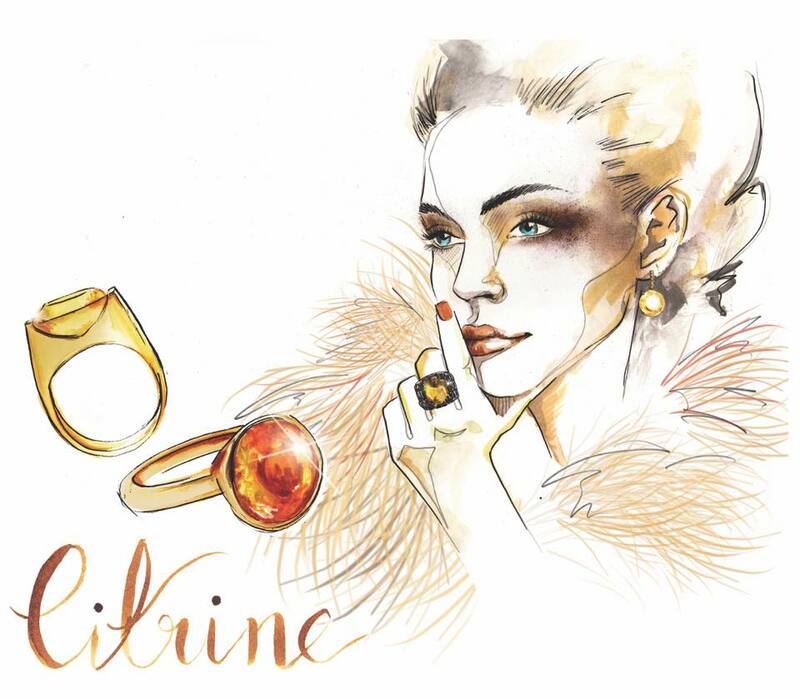 Individuals born in November can choose between two sunny gemstones to brighten up this chilly month: Topaz and Citrine, both know for their calming energies, bringing warmth and fortune to those who wear them. 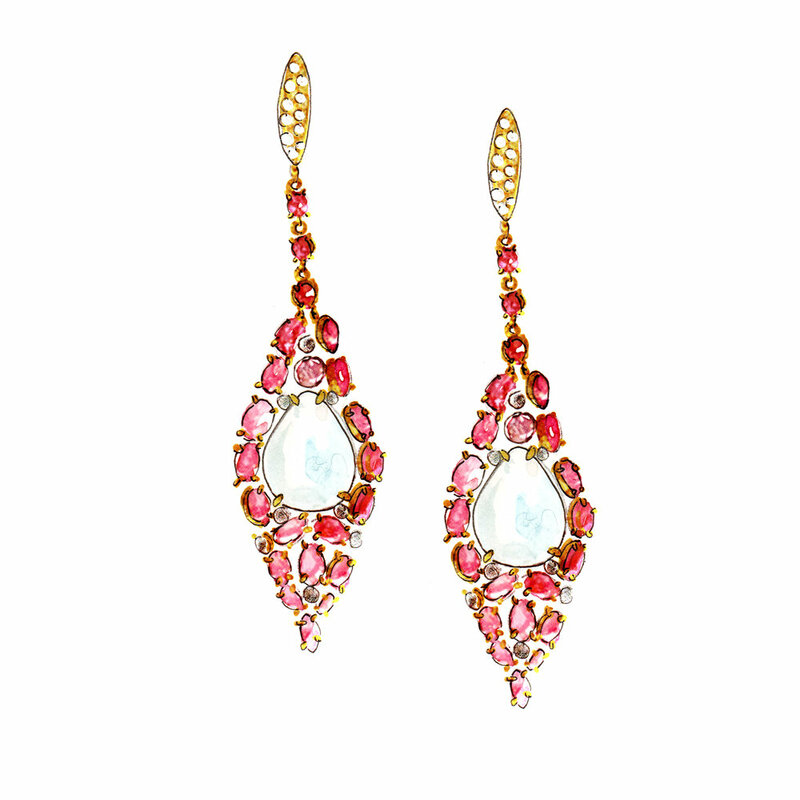 Opal is the birthstone of October, along with Pink Tourmaline. Pink Tourmaline may vary in colour from pale pink to deep red, and in clarity from flawless transparent gems to opaque rough crystals, yet all are devoted to serving the highest aspects of the heart. 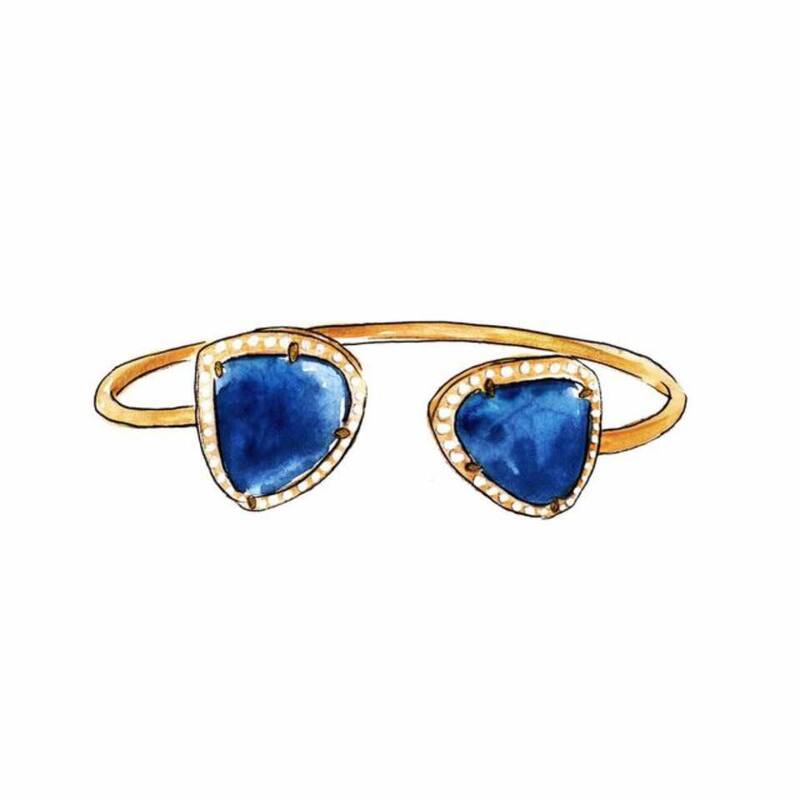 Opals flashes its brilliance with even the slightest movement and claims notice by all who witness its phenomenal “fire.” This is a stone so dedicated to the eye, so pleasing to the sight, it inspires love and hope, innocence and purity, luck and happiness. 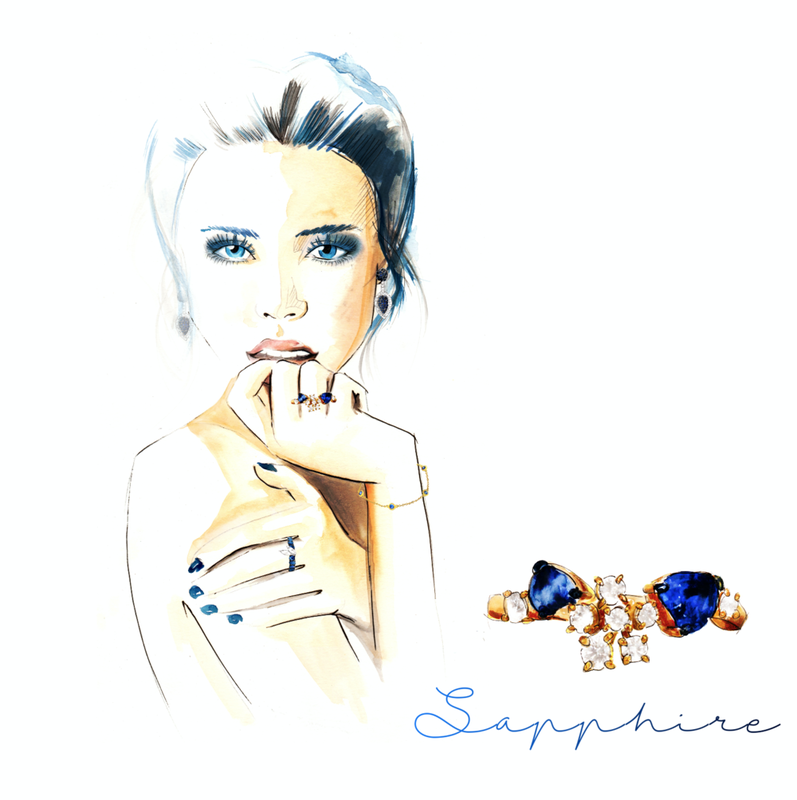 💙True Blue 💙After diamonds, sapphires are the hardest organic substance and colored gemstone. Considered a talisman against evil, poison and impure thoughts during ancient times, they were also considered signifiers of purity, which would darken when sullied or compromised by the morality or ethics of the wearer. 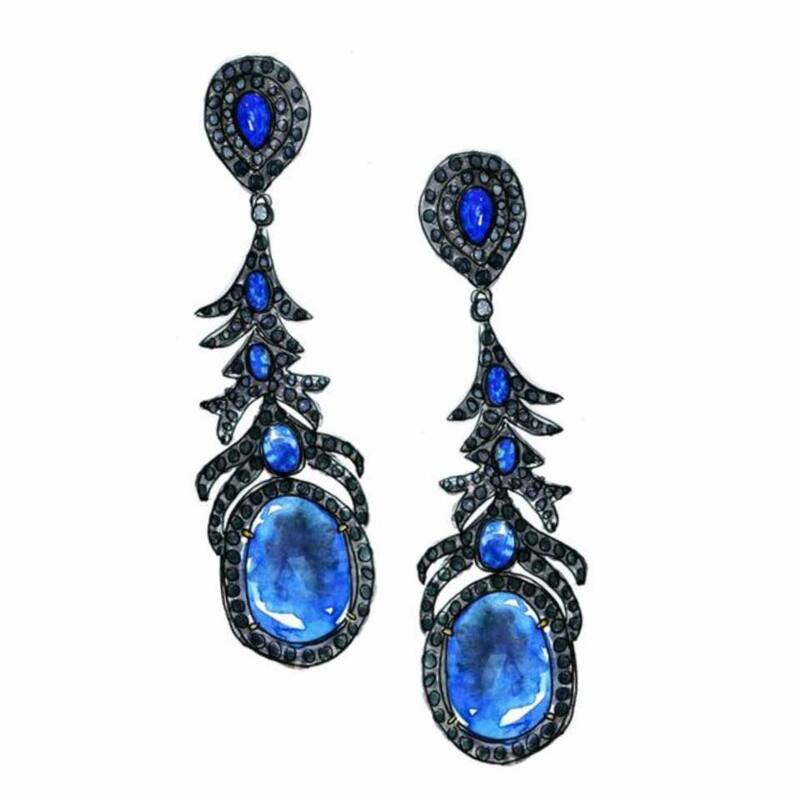 With its deep blue color synonymous with heaven, the sapphire really gives meaning to the expression “true blue,” enhancing the enjoyment of its beauty — already singular and outstanding in the firmament of colored gemstones. 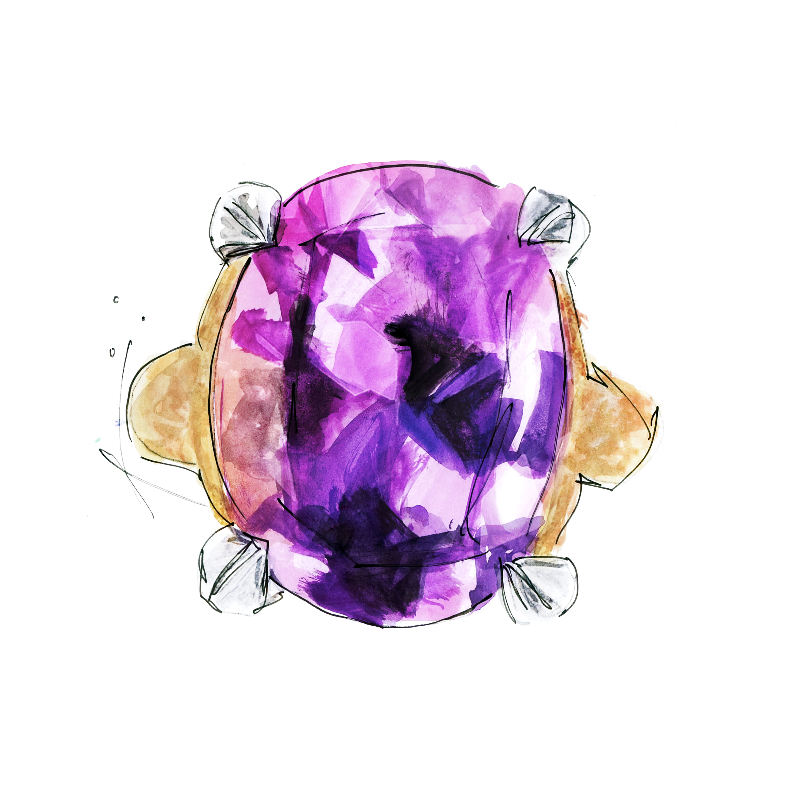 This month's illustration for Plukka features Ruby's, regarded by ancient Hindus as the “king of gems.” It was believed to protect its wearer from evil. Today, the ruby’s deep-red color signifies love and passion. 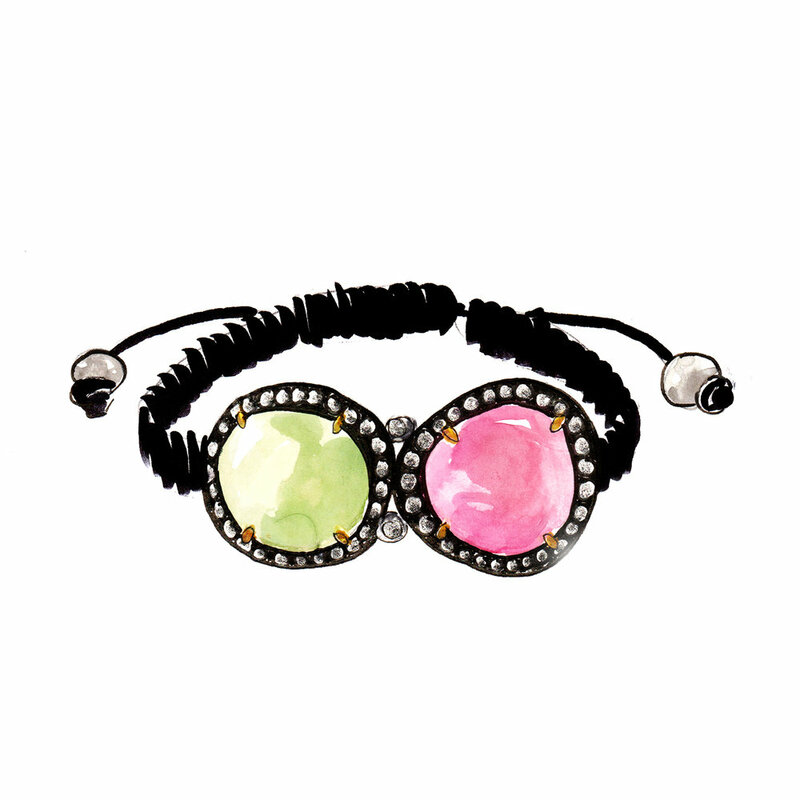 This month's illustration for Plukka features Pearls, prized for their bewitching luminosity. 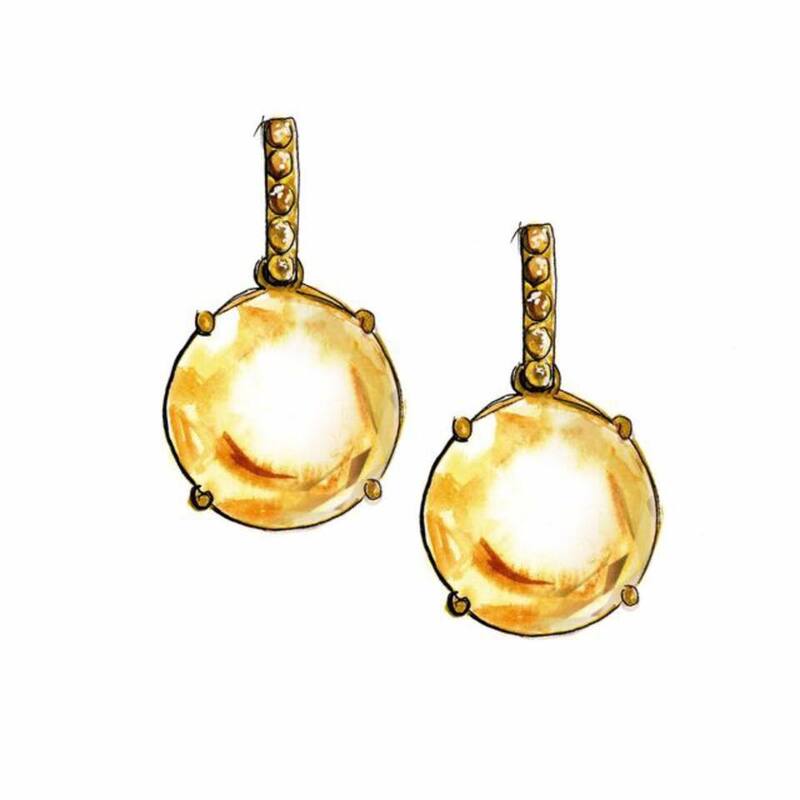 Pearls are enjoyed au naturel, rather than faceted, cut or polished to elevate their beauty. "February's Fetish: Amethyst -- We encourage you, to cave in to temptation and adorn yourself with this stunning gemstone, regardless of birthright or day, for the simple reason that, when it comes to the pantheon of colored gemstones, amethyst wears the crown." Illustration for fine jewellery brand Plukka, an online store featuring the world's most creative fine jewellery and diamonds.